The International 8 will, for the second time, feature artificial intelligence playing Dota 2 against humans. Before the bot can participate in the most prestigious Dota event of the year, the OpenAI Five AI bot will play a benchmark game of of the game against 99.95th-percentile Dota players. Those players include William “Blitz” Lee, Austin “Capitalist” Walsh, Ioannis “Fogged” Loucas and Ben “Merlini” Wu. While none of these players are current professionals, many of them were at one stage. In fact Walsh, Wu and Lee have all played together in Vegetables Esports Club. What OpenAI hopes to do here is to pit the bot against good players and prove it is capable before it faces current professional players at The International 8. OpenAI also detailed the rules of the match (which is scheduled to take place on 5th August) removing some restrictions it had initially placed on the game. The reason for this is simple: OpenAI Five has gotten better at the game. “Because our training system Rapid is very general, we were able to teach OpenAI Five many complex skills since June simply by integrating new features and randomizations,” OpenAI wrote in a blog. The initial restrictions included a limited hero pool of five heroes. This has since been increased to 18 and players won’t be forced to participate in a mirror match. As to items, players will banned from purchasing the Divine Rapier and Bottle. 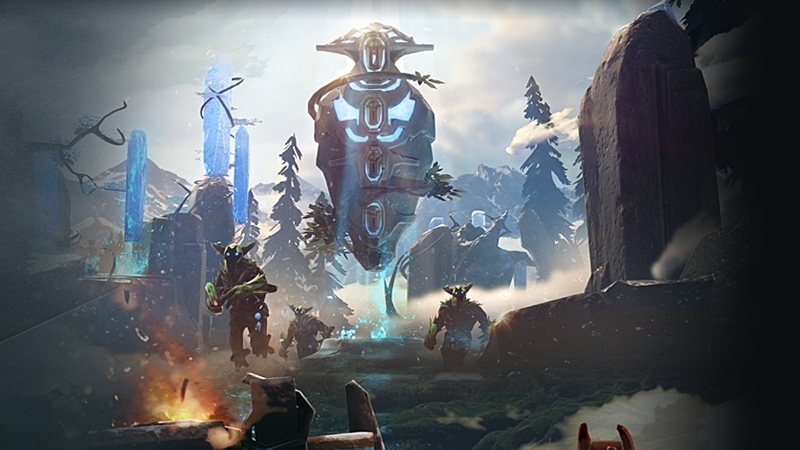 The Scan feature will be disabled and players may not summon minions or illusions during the game. We’re curious to see how this rule plays considering there is a Rune that grants players two illusions. Rather curiously, the game will include five invulnerable couriers, though players won’t be allowed to use them to scout. The only reason we can think of that OpenAI has this stipulation is that the bot hasn’t figured out how to share. “This reaction time is much closer to human level, though we haven’t seen evidence of changes in gameplay as Openai Five’s strength comes more from teamwork and coordination than reflexes,” said the firm. The Benchmark Match will be live streamed on Twitch on 5th August 12:30 Pacific Time (21:30 CAT) with Kevin “Purge” Godec and Owen “ODPixel” Davies taking up casting duties.